In the case of the current education system, the educational requirements are too demanding to meet the needs of every student. Exploding populations force more students into every school which in turn forces more students in each classroom. The majority of the time, students of all ability levels are in the same class and receive the same lessons. This forces some to be bored and others to have suffering grades. Parents may argue that teachers need to teach better, but to resolve deficits education funds are one of the first to be cut. The people that would be great teachers frequently leave teaching because of the stress, lack of respect, and little pay. Yes, lack of respect, because for some reason, when a child is involved, conversations get personal. The comment about little pay deserves some actual numbers because it is all readily available on that great Book of Knowledge called the internet. The US entered the recession around 2008. 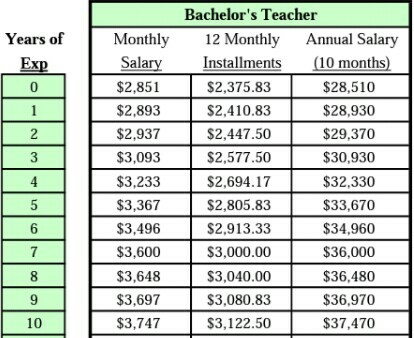 The graphs below show North Carolina teacher salary schedules for that period (page 2 if you actually do the search). From the charts, notice how the years were grouped together to cut costs. 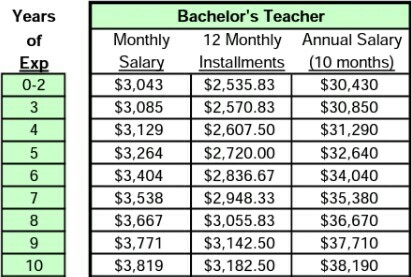 Also note the the first interval shows a salary increase while the following years decreased dramatically. That was during a recession, if you want to dispute their salaries in positive times refer to this article by the NEA which conveniently describes the salaries before the recession following the trend for a decade. It shows that the increases do not keep up with inflation. Even if you do not have children, this should be important to you. The reason is that each year a good 1/4 of the material is revisited the following year. If there is mastery of the previous year's material more time can be devoted to the new. If there is repeated mastery there is likely good study habits. This carries over the 12 years and into college. 1/4 is my own personal observation; of course the figure varies. It implies that to have the most educated work force and therefore most innovative economy, funding should focus on elementary ed., then middle and high school, and then college; not the other way around. Without a devotion to education in the developmental years other nations will surpass our economy. Technical positions will increasingly be found overseas rather than at home. This is how the decline of the American economy will occur unless action is taken. On CNN, Fareed Zakaria's Global Public Square: Fixing Education touches on these points. That is my rant that assumes traditional answers. If you want to take traditional actions contact your representatives in congress. OpenCongress.org makes it easy for people to find their representatives and their contact information. If you have an Android powered smart phone or tablet you can download the Congress app. Another source of useful information is by the Sunlight Foundation. The name makes it sound like a religious cult, but it is actually a project dedicated to transparency in government. Since this is a big political season, I will cover the tools on their website in a future post (mostly for my own voting awareness). The problem is that budgets have to be balanced some how. If money does not get cut from education, where does it come from. Some industry has to be hurt. So, we look beyond traditional answers. The science-fiction book set in 2044, Ready Player One, examines educational structures by following Wade through his school experiences. Wade started in a school system similar to our present day ones, but then became eligible to join a virtual classroom. He received a state funded Augmented Reality (AR) headset and AR gloves. Ernest Cline, the author, contrasts the two experiences. In the former educational setting Wade gets bullied routinely. His family lacked the finances for the latest fashions and other students found this as an easy target. On top of that he was picked on because he had a pension for playing video games and an aversion to exercise which led him to be over-weight. Wade is a geek; well versed in the latest technologies. So the transition to a virtual classroom was perfectly suited to him, but in the real world he was routinely pushed around because of his abilities. In the virtual classroom his avatar still only had the most basic clothes (accessories and customizations had to be purchased), but if someone tried to taunt him his aggressor could be muted. There could be no physical assault. There is finally a safe learning environment. Every school has issues getting new equipment, and the facilities are routinely put through a gauntlet of structural, chemical, and aesthetic tests by the students. In the virtual classroom the facilities are all digital so it did not cost any extra to have them look like palaces. There are no heavy book bags to lug around; only goggles and gloves. As Wade points out, the digital domain contains the absolute largest up-to-date library. As classes would start, the software prevented distractions from other students. The programming optimized the learning experience. There were many benefits described to having a completely virtual classroom. On the other hand, there are many logistical nightmares to resolve before it can be practical. Wade looked forward to logging in to school as an escape from reality. His home and social lives were at best abysmal. The average student would not be nearly so inclined to regularly maintain their attendance. How do you handle the interactivity? What if the student has a question? To resolve those issues, set aside the ideological school system proposed in Ready Player One, and consider an option that is outside the traditional realm of teaching. There are a number of online sites developing to provide supplemental educational resources. Khan Academy has developed from a single person trying to tutor his friends into several educational videos on many topics. The Khan Academy introduction video is given as a TED Talk. The slogan for TED Talks is "Ideas Worth Spreading". Khan Academy certainly falls into that category. There are several TED Talks but there are also other TED initiatives. TEDx is a locally produced TED conference. It allows a group of people that are geographically located close to each other the chance to host their own TED event. TEDed is focused on educational videos. One of the videos I remember watching in school was pure genius. Donald in Mathmagic Land inspired much interest in math that carried me through months of drudgery. And, as luck would have it, can still be found. This is a nascent industry which can readily be adapted into an official education and is already sprawling with competition. These are only a few resources. I have been told of others that are already paid subscription services. How do these resources get incorporated? All teachers should begin recording their lessons now. Eventually a company, perhaps one that already acts as a repository for videos (ahem, You, cough, Tube) will organize the educational ones and allow a system of ranking their quality based on each individual states' standards. 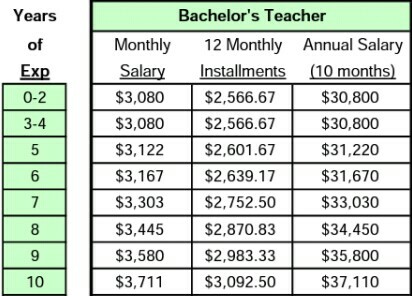 Whatever service this is (hack, YouTube, wheeze) would need to get the teachers involved and registered so their vote counts and also so that the teachers can receive monetary rewards as other teachers show their video. NOTE: As I venture down this speculative future classroom you will likely see several details left out. "Where will the funding come from? ", for instance. It is all gut reactions to these ideas. Off the top of your head you can likely come up with several answers for each potential reason not to follow through with this proposed change. I discuss what I see as the big picture details. The rewards system provides incentive for teachers to make great lessons. Students will end up watching the best ranked videos which would likely be better than the lessons they would receive from today's system. Teachers go from a phase of teaching to facilitating. Teachers at this point would answer the students' questions directly. Eventually, as all students get rid of those ridiculous over-stuffed book bags for simple tablets (just a guess that we will entirely skip giving laptops on a large scale to students. I know laptops are given in some schools, but again, in the large scale tablets will win) the first place teachers will direct students to their answers is in their device. Go to that topic's FAQ or Help menu or whatever other interface is decided at the time. If that question is not listed and the teacher cannot find it, the question gets added to the ever expanding compendium. The answers then get ranked, reviewed, and sorted. Because most questions will be the same, after a few years most will be answered. Finding the answers will be a developed skill. After school, in the so called real world if such a thing exists, they will be less devoted to asking for answers and perfectly able to consult the Book of Knowledge (aka, the internet) for their answers; partly because of years of practice finding their answers and partly because such an interface would propagate through all of society. Next step: At this point, students are getting great lessons and teachers teach less. They would still conduct demonstrations and teach topics that they believe can be presented better. However, there are still distractions in the classroom. Students disrupt other students, the vibrating of cell phones in their pockets. Who just texted me? It is so nice outside! What time is it? Ready Player One. Now it is time for the AR headsets and gloves. New technology invites teachers to try new ways of teaching their lessons to impact their monetary reward. Not only do lessons get recorded and rewarded, but also the accompanying demonstrations. With students fully attentive, with few questions that cannot be answered online, teachers are left to supervise at their desks, while wearing their very own headset and gloves. The student to teacher ratio will comfortably increase as software allows better interaction and people become accustomed to the new augmented lifestyle. This is when people generally get upset at these ideas. They argue that I am eliminating jobs. Well, yes, I think I would be. But there is little improvement that can be made in the current standard. Talk to one side and hear, "People only want to pay for a baby sitter. 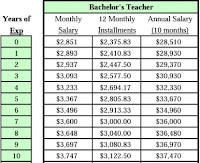 No wonder it is difficult to get quality teachers to stay in the industry." Talk to the other side and hear, "The teachers available are horrible. They get months off for vacation and don't even teach worth a damn." The proposal is a resolution to a contradiction. It is a fore drawn conclusion. In some form, this is where the industry is heading.